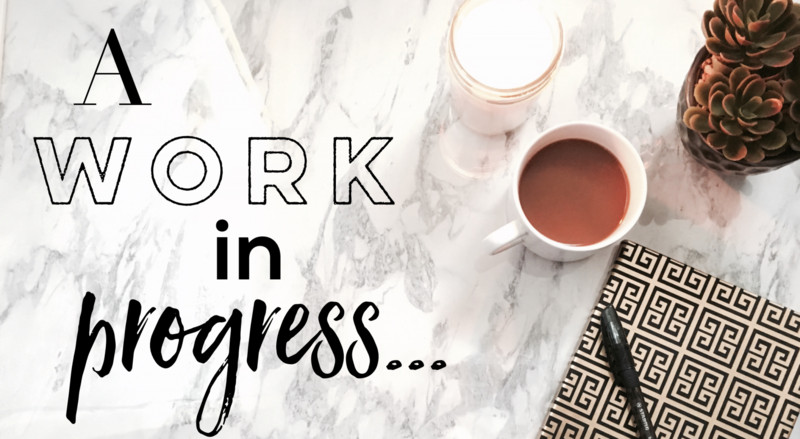 The first quarter of 2018 has come and gone, and it’s time for a little check-in on my reading goals, my accomplishments, and my failures so far. I set myself two reading goals at the beginning 2018, to a) read at least 50 books by the end of the year and b) to read even more diversely and inclusively than I did in 2017. These goals were the same reading goals that I set for myself in 2016 and 2017, and I wanted to improve on those numbers even more in 2018. I honestly didn’t think it would be a difficult task considering how well I did in attaining them in 2017, but 2018 has had a mind of its own so far and I’m struggling. I’ve read a whopping eleven books so far this year, and to be honest, I feel like those are dismal numbers considering how much I had read by this time last year. I was already halfway towards reading at least 50 books by April of last year and to see myself so far behind that mark is disheartening. I know that it shouldn’t be. I’ve got a whole lot on my plate at the moment, and I know I shouldn’t be so hard on myself, but I still feel that way and I don’t know how to dispel it. It’s gnawing at me that I’m not hitting that mark. I know I can do better, I know I have done better, but I’m just not getting there and it’s incredibly frustrating. I wouldn’t classify myself as a competitive person, but I do have a competitive streak in me, especially when it comes to myself. I know I put a lot of pressure on myself, I always have. I’ve been that way since I was a child and I doubt that that is going to change anytime soon. And that is equally frustrating and enormously valuable since I do push myself that extra mile when it comes to the things I am passionate about. I don’t know how to dispel that feeling of frustration other than reading more books, and I am trying, but it isn’t always easy. While I may be floundering in reading at least 50 books this year, I am succeeding in reading more diversely and inclusively so far in 2018. Of the eleven books that I’ve finished reading so far this year, ten of them were written and/or created by women, women of colour to be exact, and I’ve loved every moment of it. Reading diversely and inclusively hasn’t been a hard task to accomplish; it’s been quite easy in fact. The majority of my ‘to be read’ list is dominated by women and authors of colour, something I’ve done actively to cultivate. Being able to have a list that is as diverse and wide-ranging to choose books from, especially when I’m adding new titles on an almost daily basis, has been fantastic. Cultivating that list hasn’t been a difficult task either. I actively follow other readers, books bloggers, authors, and the other individuals who love and enjoy reading as much as I do and who equally care about making publishing industry and the books that are produced truly reflective of the world that we live in today. I’m always looking for more books written by marginalized authors to add to my ‘to be read’ list and I can’t wait to add more as we move further along in 2018. It’s something that I’m consciously and unconsciously doing nowadays because I have put in the effort to read more diversely and inclusively. It’s always at the forefront of my mind when I do decide what books to read, and more importantly what books I buy. I continue to scoff at individuals who believe that finding and reading books that are diverse and inclusive in terms of the characters within the pages and the authors who write them is a difficult task and one that is not believable or worthy. It isn’t and they are clearly missing out on exploring stories and characters that are just freaking amazing. What reading goals did you set for yourself in 2018? Did you set any reading goals at all? If you did, how far along are you in reaching those goals? Have you already reached those goals? Let me know. I feel the same way. I need more hours in day.